1. Fit matters. 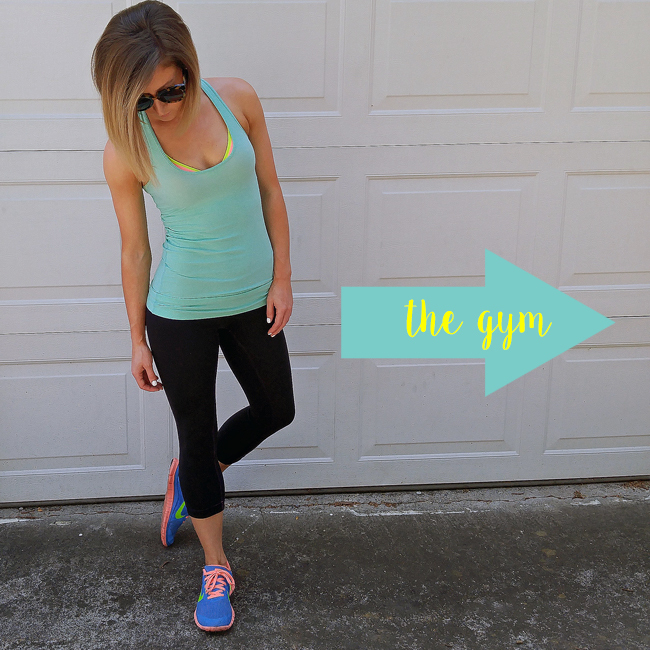 Finding the right fit in your workout wear is very important. Every brand is different - some run big, most run small (i.e. in Lululemon expect to size up by at least 2 or 3 sizes.) so try not to get defeated if your usual size feels too snug. It's a plus to feel lifted and held in by your tanks and leggings, but you don't want to feel like you can't breathe. Remember, even the most in-shape girl or guy can look distorted by the wrong size wardrobe. I know I've had to size up many times in fitness tops, because they squeeze me in all the wrong places and many times I can barely get them back off. So if you need to, size up! 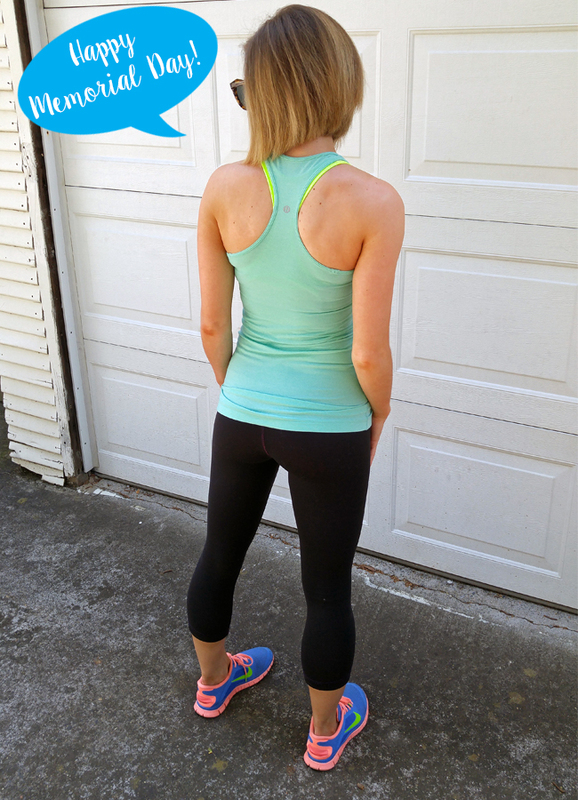 The world of work out wear is totally different than your usual clothing. 2. Beam brightly. Have fun with your tops and bottoms! There aren't many professions where you can wear neon green and bright pink to the office, so embrace the brights! I love a pop of color under a tank, like in the photo above. A fun tip: Buy tops, bottoms, and shoes with multiple colors so you can mix and match your outfits! 3. You can never go wrong with black pants. My go to is almost always black long or cropped pants. They are universally flattering and very slimming. Plus they go with just about everything! My favorite pair of black pants are from Alo Yoga and goodness gracious, they're great! 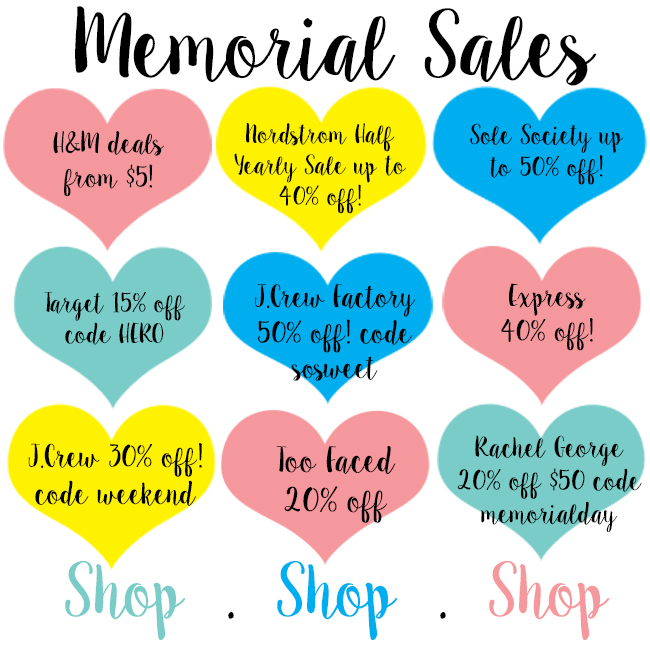 Make sure to check out their site - they have a 20-60% off sale going on for Memorial Day (use code memdayalo). 4. 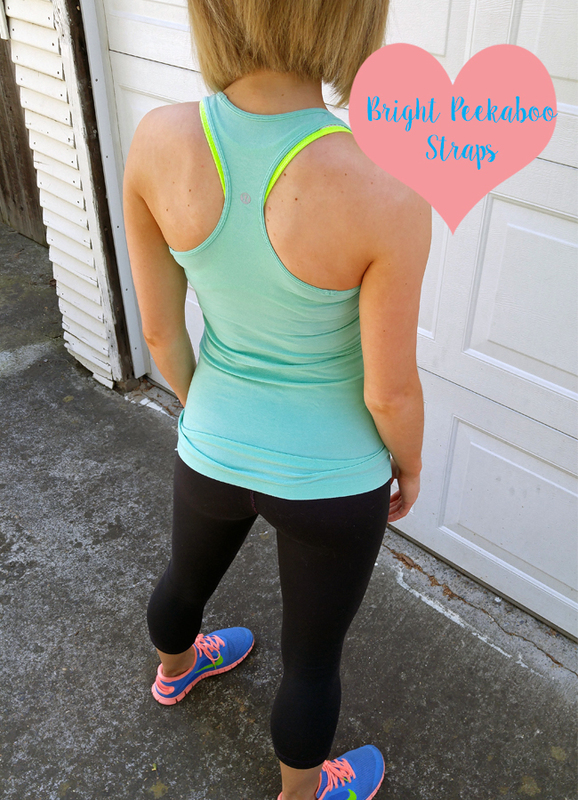 Find a fun & supportive sports bra. The sports bra I'm wearing above is from Victoria's Secret and it's one of my favorites for a few reasons: 1. It's colorful. 2. It can be worn with many different tops I own 3. It's supportive 4. Drum roll please...it has push up! 5. Buy breathable fabrics. Always look for tops and bottoms with ventilation. Mesh has become a huge trend and although it's fashionable, it will also keep you cool. I can always tell the difference in tops that breathe and those that don't. Try wearing a long sleeve top to a 55 minute Pure Barre class that doesn't have cut outs or mesh...you might just burn up! Sometimes you might end up paying more for these beneficial details, but it's usually worth it! Keep your eye on sales and monitor pages like Lululemon's "We Made Too Much" on their site. 6. Color coordinate. Buying pieces that match or go together can make getting ready so much easier! Also, it's common for companies to debut collections with certain colors for certain seasons and once they're gone they're gone. Buying several items that coordinate guarantees you'll be able to make outfits even after the collection is gone. For example, I like buying a sports bras at the same time I buy a tank with an uncommon color(s) so I know I'll have something that pairs together properly. 7. Invest in your sneakers. If you're going to invest in anything, it should really be your shoes. Running, walking, climbing, etc. in the wrong sneakers can be really bad for your feet, back, and body. I paid full price for the Nike's I'm wearing above and they are the most comfortable shoes I own! And cute! I did, however, buy a second pair of gym shoes (also Nikes) at TJ Maxx for $39.99 which was a total steal - so keep your eyes open. 8. Never forget your smile. Don't forget the best accessory of all...your smile! Sometimes the gym or the barre can be a very intimidating place to be, but a smile always seems to break the ice. Remember, everyone is there for self improvement and is working towards a goal just like you! My favorite athletic brands? Lululemon, Alo Yoga, Karma Athletics, Kira Grace, Nike, and Target (they carry some of the best graphic muscle tees). You may be wondering, "Does spending more mean better quality?" And the answer for the most part is yes. The cost is usually higher for pieces with greater detail and higher quality fabric. With that said, that doesn't mean you have to spend a lot. TJ Maxx, Marshalls, and Nordstrom Rack to name a few. All offer luxury workout brands for less. After shopping and coordinating your workout wear, make sure to check out today's sales and discounts! I've highlighted a few below. Remember to thank a soldier today (and every day) for his or her service! So many have sacrificed so much so we can live in a country where we can enjoy luxuries like blogging, shopping, and working out. It's a great day to feel thankful for your freedom. Thanks to all the soldiers in my life - I'm so very proud! Love your Nikes! Enjoy the holiday! Thanks Kate! I keep trying to find new ones, but none of them compare to these - I love the colors!